I saw a rectangular step stool in surgery last month that was only about 6 ” high and that was perfect because I cannot do steps. Even that step with the tall handrail is a struggle so I put safety step stool in and saw yours. Tried to call to talk but no one available at the time and I don’t believe I left a message. Knee problems are causing me continuous problems. If I ride with anyone in a truck…they have to pull alongside the curb. The same when I get out. Of course if I manage to get in a vehicle, half the time my clothes are “strangling” me because I have to scoot over and I have a hard time doing this.. My new mattress height is taller and I have a hard time getting in bed. I do not want to fall trying to get in bed so I went back yesterday and although I could not remember the name I put in step stool and no luck so changed to safety step stool and there you were. I am so glad it is on the way and you can be sure all my friends will see it right beside my bed and in my hand on the way to the car. There is no embarrassment in taking care of yourself but real shame if pride gets in the way of safety. 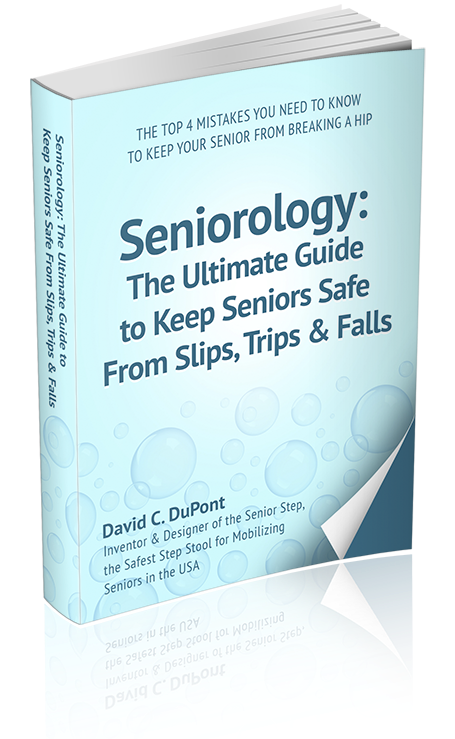 Cheryl has touched upon 2 very good uses for the Senior Step, model SST. The first use is to make getting in and out of your bed much easier. The third that Cheryl didn’t mention is for after knee or hip surgery, to help with rehab.